One again, Art Director Christine Kettner has hit it out of the park. But my favorite part might possibly be the tagline. This entry was written by Princess Alethea and posted on May 5, 2013 at 7:24 pm and filed under Hero, pics. Bookmark the permalink. Follow any comments here with the RSS feed for this post. 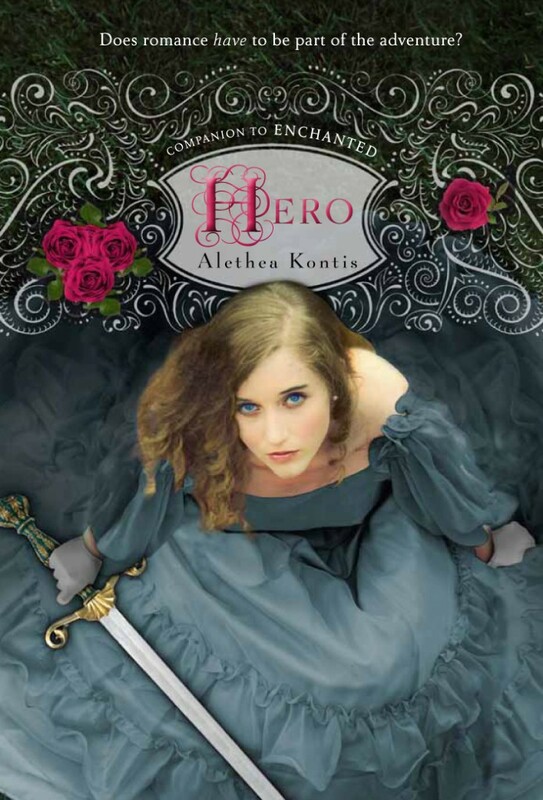 So Princess Alethea, THIS is the FINAL cover art?? Or is this just the UK version? Yup, it’s final — there is no “UK version”, because the UK has not yet purchased rights. They’ll be buying US stock. WOW! Does that mean that all the swag you’ve already given away is now collectible? Wow, so the aqua blue dress is now a thing of the past huh? Interesting thought Mum Kontis! o_o Quite clever actually, you could make a great deal of money selling these “special limited editions” of your book couldn’t you! That might be something her fans would/could do BUT not something Alethea or her family would ever do. They would have to answer to me! Lordy, I hope I’m famous enough one day that people are willing to pay scads of money for “limited editions”of my work! That’s not something this fan would ever do either! If I got my hands on one of those books I’d hold it tight and never let it go! 😉 You mean you’re not quite that level of “famous” yet Alethea? I thought you were. The mother of the girl contacted you? This I can’t wait to hear more about. How did you even find the girl anyway? Did you sent out an audition form like they do for movies and plays?